On May 26-28 International Exhibition for Waste Management, Recycling, Environmental Technologies and Renewable Energy was held in Moscow Crocus Expo. The event brought together 248 exhibitors from 25 countries. 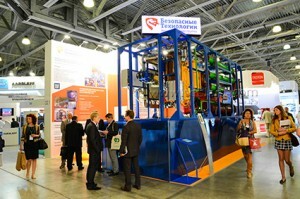 At the booth of IPEC the members of the government delegation, the participants and visitors of the exhibition got to know the equipment for processing of hydrocarbon-containing waste into fuel. 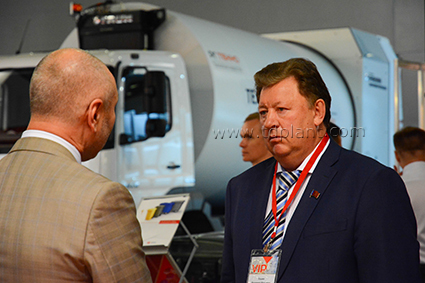 The guests of the IPEC stand were members of the government delegation, in particular, Chairman and Deputy Chairman of the State Duma Committee on Natural Resources, Environment and Ecology, Vladimir Cashin as well as Ambassador of Switzerland Pierre Helg and numerous exhibitors and visitors. Experts of IPEC showed the development of the company: Thermal Decomposition Plant for processing a wide range of hydrocarbon based waste into fuel oil. Being the one of the latest models in a range of thermal treatment equipment TDP-2-200 was presented at company’s booth. It is a small-sized equipment of continuous pyrolysis of waste with a capacity of 200 kg/h. 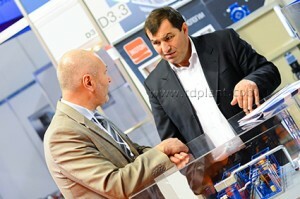 The development of IPEC aroused the interest of visitors to the company booth. The active participation of the company within Safe Technologies Industrial Group at the exhibition was marked by premium diploma WasteTech-2015.